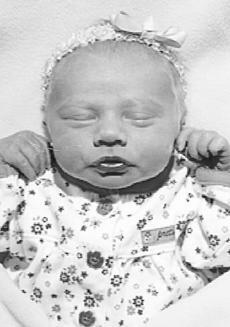 Births announced this week are: Jacob Bradley Nichols, Dec. 31, son of Jim and Susan (Nunnelley) Nichols; Emily Ryan Northcutt, Dec. 22, daughter of Robert and Tonya Northcutt. Harrison County residents will be receiving phone calls and/or visits from people who are helping prepare for Enhanced 911. 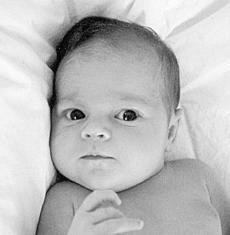 Addison Louise Simpson was born to P.J. and Jennifer Simpson on Nov. 2, 2009. She weighed 9 lbs. 1 oz., and is welcomed by her brother, Daniel Simpson. We all seek advice from experts and describing what ails us or our plants is key to determining what’s really going on; and not everyone understands the nomenclature of symptoms caused by insect and disease problems. “I’ve got this thing on my wacha-ma-call-it” won’t get you very far. We need to know how to describe the “things” that we find on our plant material so a proper diagnosis and treatment can follow. Knowing a plant’s history and environment helps, too. Births announced this week are: Loren Faith Adams, Dec. 14, daughter of Crystal Campbell and Joseph Adams Sr.; Jason Earley Jr., Dec. 23, son of Jason and Lisa Earley; Anna Blake McDaniel, Dec. 14, daughter of Joe Ross and DeAnna McDaniel; Michael Philipp Seithers, Oct. 30, son of Marty and Kay Seithers. 25 years ago: The City of Cynthiana purchased property for a city park located on River Road. The land cost $36,189.60. The Pendleton County Conservation District and USDA Natural Resource Conservation Service is now accepting applications for cost share programs. The programs include the Kentucky Soil Erosion and Water Quality Cost-Share program (State Cost Share) and the Federal Farm Bill programs; Environmental Quality Incentives Program (EQIP) and Wildlife Habitat Incentives Program (WHIP). 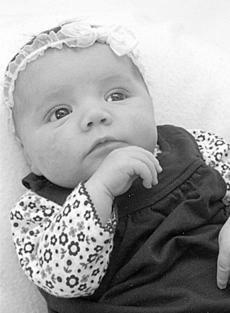 Kara Lee Eubanks was born to Ashley Perez and Josh Eubanks of Cynthiana on Dec. 18, 2009 at Harrison Memorial Hospital. She weighed 6 lbs. 2 oz., and is welcomed by her brother, Mason King. Yes, I realize the value of the internet and the information that is available at a click of a mouse, but I still prefer the book. Maybe it’s because we have pokey-slow-country-dial-up that reaching for a book proves faster and more efficient for me. Maybe it’s just that I like the tactile experience of a book. Births announced this week are: Austin Gregory Banfield, Dec. 13, son of Gregory and Amy Banfield; Luke Thomas Bradford, Oct. 25, son of Kent and Mary Beth Bradford; Frances Emily LaBore, Dec. 6, daughter of John and Linda LaBore; Morgan Francis Barker, Dec. 19, daughter of Bill and Tracy Barker; Lauren Ray Johnson, Dec. 14, daughter of Christy Michelle Johnston and Mitchell Wayne Johnson; Madelyn Kate Peveler, Dec. 10, daughter of Tim and Cathy Peveler. Producers May Begin Applying for SURE Program at FSA County Offices on Jan. 4, 2010. USDA has implemented the new Supplemental Revenue Assistance Payments program (SURE) in accordance with the 2008 Farm Bill. Producers are encouraged to visit their USDA Farm Service Agency (FSA) county office beginning Jan. 4, 2010, to participate in the program if they suffered crop production losses during the 2008 crop year. I thought we would be set on the firewood front this winter because of all the downed trees and limbs from last year’s storms. We have a huge pile of wood out by the barn that we are literally chipping away at with the splitter. I love splitting wood; it is great exercise and manages to shed just about any frustration that may be lingering from the day. But not all wood is created equal if you plan to use it for warmth in the fireplace. Births announced this week are: Derek Ross Caldwell, Dec. 6, son of Kevin Ross and Christy Caldwell; Emma Kristen Clark, Dec. 7, daughter of Bruce and Melissa Clark; Steven Mathew Oaks II, Dec. 7, son of Amy Garrison and Steven Oaks; Johnathan Galde Perrine, Dec. 10, son of Donald D. and Holly R. Perrine; Brittany Faye Quesenberry, Dec. 7, daughter of Keith and Patty Quesenberry; Kylie Ann Wickstrom, Nov. 29, daughter of Jamie and Amber Wickstrom. Madelyn Jane Ascione was born to Erin and Ryan Ascione on Oct. 27, 2009 at Munson Hospital in Traverse City, Mich. She weighed 9 lbs. 6 oz. Births announced this week are: Austin Clyde Haynes, Nov. 16, son of Phillip and LaDonna Haynes; Emma Lee Alexa Lutes, Dec. 3, daughter of Eddie Wayne Lutes and Rebecca Lutes; Allison Breen Nichols, Dec. 2, daughter of Johnny and Amelia Nichols; Andrew Jared "A.J." Smith, Nov. 29, son of Vanessa R. and Andrew M. Smith; Morgan Paige Sumpter, Nov. 26, daughter of Barry and Kelly Sumpter; Haidyn Elise Williams, Oct. 18, daughter of Greg and Ami Haid Williams. My friend Pernilla suggested that all gifts should be ones that can “be used up” for a good purpose. So, something one could eat, use to cook with, to bathe with; perhaps something we could decorate with and when finished it would be a good addition to the compost pile? I have planned ahead a bit: this summer when I was canning and processing things from the garden, I did extra so I could give them as heartfelt thanks to friends during the holidays. 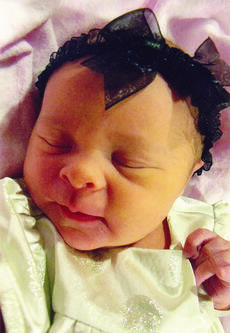 Gracyn Elizabeth Shields was born to Chris and Julie Shields of Cynthiana on Dec. 1, 2009 at Central Baptist Hospital. She weighed 5 lbs. 12 oz. After the harvest season, November is usually the time we celebrate and give thanks. It is also time for producers and landowners to consider planning for the next growing season. The Harrison County FFA is participating in the 2009 Hometown Scholarship program, presented by Dotson Brother’s Dodge Dealership in Paris, Ky. The Hometown Scholarship program is a campaign that generates scholarship funds for high school FFA Chapters. The FFA Chapter will be accepting donations in support of the scholarship program. With each $5 donation the donor will be entered into a drawing for a new 2010 Dodge Ram Heavy Duty truck and can redeem their ticket stub at the Dotson Brother’s dealership for a T-shirt while supplies last.